A: The first thing is, there is an initial step that medical billers must take before they review the coding for a claim submission. Unfortunately, it’s the reality of the billing world where they have to focus on the competency of the practice’s front desk, and you need to monitor the denial trends because a lot of them point to the front desk. Billers don’t have time to appeal every denied claim, which can take anywhere from 5 minutes to over 2 hours. If you happen to work for a practice where the front desk is horrendous and they haven’t made any changes, then what I say is that every medical biller’s first step should be to review the registrations prior to reviewing the coding or anything else. That would be the first step in the process. Over 56% of claims denied due to the front desk. That is an average based on, I own a billing service which my family runs, but I look at the stats and stuff so that I can share it with my students, and some practices may have 30% denial rate and other practices have 70% all based on bogus information because the front desk is not doing their job. What you need to do as a biller is look: Is the front desk a qualified professional who is focused on the job? Medical billers, they require the front desk to understand the insurance, to verify the insurance and all the patient information before they’re seen by the doctor or healthcare provider. When the biller gets the information, the service has already been provided. So, if there is no insurance or any patient information is wrong, it’s very hard and it’s an extra step for the biller to take in order to get the claim paid. Even though working a front desk is not really difficult, if you do not work well in a chaotic environment, it’s not the place for you, so even if you are confident or your front desk person presents well, if they don’t work… you know, with folks coming in, patient is coming and going and people milling around and copayment is being collected, then you need to make some changes. The next slide, when I asked: Do the billers actually know what the insurance is about? This is an actual insurance card that I’ve taken from a billing company and just whited out important information. If you look at the bottom where it’s highlighted, it says United Healthcare Group Medicare Advantage (PPO). Medicare patient comes in, they have a Medicare card and they have this new Medicare Part C card, they hand it to the front desk. The front desk registers Medicare primary and this is secondary. When the biller gets an EOB (Explanation of Benefit) with all these denial codes, CO109, saying the patient has other insurance. It’s usually because they have a Medicare Part C. So, you focus on the United Healthcare, you look at the bottom where it says Medicare Advantage, and that’s your hint. The other thing to keep in mind is that billers have a year to bill Medicare. United Healthcare PPO, you have 90 days. If you don’t act on that Medicare denial within the 90 days, you put the right information in, you won’t get paid. So now, the biller not only has to go in and make the correction to the registration, now they have to appeal the claim because it was billed wrong, they have to send it to the right insurance carrier. This next slide is just a very clean example of a scanned card of what it should look like in the medical record whether it’s scanned in the EMR or if it’s in a patient chart. Everything should be clear and it has everything in it from the member name and ID number and all the information, co-payments. The only thing missing in this particular back of the card, you don’t have the mail paper claims but you also don’t have the EDI of the payer, transmitter ID number, which is very important if you’re billing electronically. But this is what an insurance claim should look like. Let me show you legitimate bad claims that have come from my office from one practice where a biller actually went – you can go to the next slide – and these two particular claims got denied. She went into the medical record and this is what was scanned. Now, you should be able to read the patient’s name as well as the ID number, and you don’t see it. That means now that the biller has to contact the patient to get the information because the front desk didn’t check to see – 1) they registered it wrong; 2) they didn’t scan the cards properly or make copies to put in the chart. These are real life pictures of what billers deal with. This is what you get. If your front desk is doing this, you need to do something quick. Next slide has to do with the front desk educating the patient. This is just maybe a sign that’s out there: “Copays are due prior to services rendered.” What does that have to do with the biller? Well, the patients and doctors are contracted with the HMOs or PPOs that they have to collect the copayment at the time of service. If they don’t, once the claim is paid, the biller now has to send a bill for $20 to the patient to get paid so that’s not only the biller is telling the doctor is paid for, it’s all the stationery, the postage or whatever. 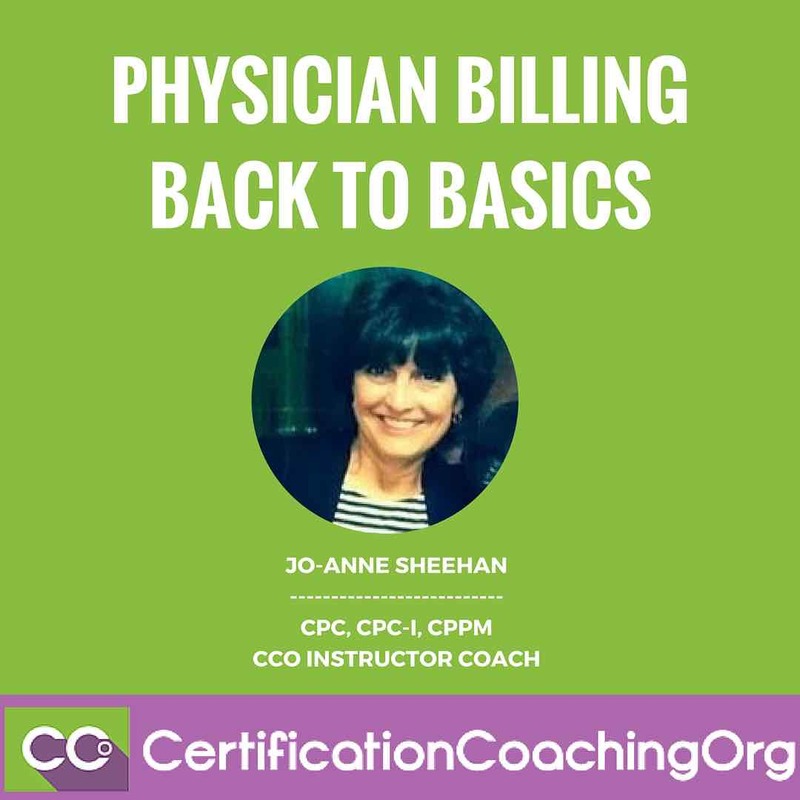 If the patient doesn’t pay the first time, they have to pay for postage again; so a lot of extra work that the biller has to do when by right when they get the encounter form and there’s a copayment that was paid, it should be on there already. This next slide is really interesting; I actually did this up because obviously I can’t use the real patient’s name. We had a patient, Joey Serino, that came in, filled out a registration form, he wrote down on the registration form his ID number… When the patient filled in the registration, he wrote Joey Serino. What happened was, the biller transmitted the claims and this is an example of an electronic acceptance and rejection report. Let’s say that two of the claims went through and we got the accepted report, but the bottom one says: Joey Serino rejected. Reason for rejection: Name and member ID do not match. When we looked up the card, it happened to be legible and it says Joseph R. Serino. He wrote down his last four digits of his Blue Shield as 9989, when in fact it ended in 98; he transposed the last two numbers. The front desk, if they’re the ones registering, is supposed to take that information from the card and make sure it’s accurate. In this case, when you get an electronic denial, you’re not going to get a paper explanation of benefit. This is your denial and you can go in and make the corrections and refile it right away. But unfortunately again, the biller has to go in and correct the registration, correct the ID number, and then refile the claim. These incidences has happened so much that it’s ridiculous, and it’s very frustrating because there’s enough to do as a medical biller without having to go back and call patients or make corrections for something as simple as this type of information. The next one is just simple again; I had to type it out to change information. But if you look at the bill, it’s for $210.00. They allowed zero, paid zero. The paid code in this particular instance is T, which means member not eligible on date of service, which means the front desk did not verify eligibility, which means again the biller has to contact the patient, get the correct information in order to bill and you have to do it as soon as you get the denial because you’re dealing with anything from 60 days to a year, but usually 60 to 90 days is the limit you have to bill a claim, so you want to act on these denials right away. Basically, the very last part here, this is a little chart of all the roles of a medical biller, and I just covered 01 –patient registration – and I will touch on everything else in other webinars and pretty soon we’ll be having weekly student question and answers and I’ll be touching this as well. Patient registration, like I said that’s the most important aspect of the billing. If you don’t get that right, it doesn’t matter if the doctor charged a thousand dollars in surgical procedures in the office, he won’t get paid unless that’s done. So, you need to have to re-educate the front desk person or bring someone else in that can handle the job because as you can see there is a lot that a biller has to do and to be doing this very first step. It is being proactive but it’s unnecessary. That’s it, thank you. 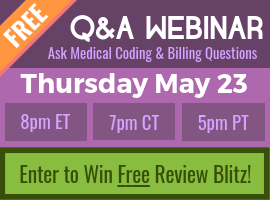 Medical Billing Certification – How Can I Get Certified? Wouldn’t the AR say that the ID was not found? Or have things changed since I did this? An Accounts Receivable (AR) Report will contain information about ID numbers not being found if the biller enters this information into the medical billing software against a particular date of service that was denied by insurance. When the ageing is run, all notes will appear to explain why there is a holdup on a claim. An electronic remittance advice (RA) will indicate the ID is missing. Is that what you mean?